In n° 206 of magazine Deformazione (October 2014, pag. 56-60) you can find the last article just published about Antil S.p.A. 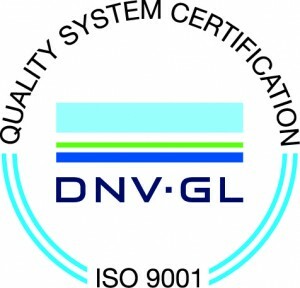 The article is written both in italian and english language. The interview by John Storelli to Eng. 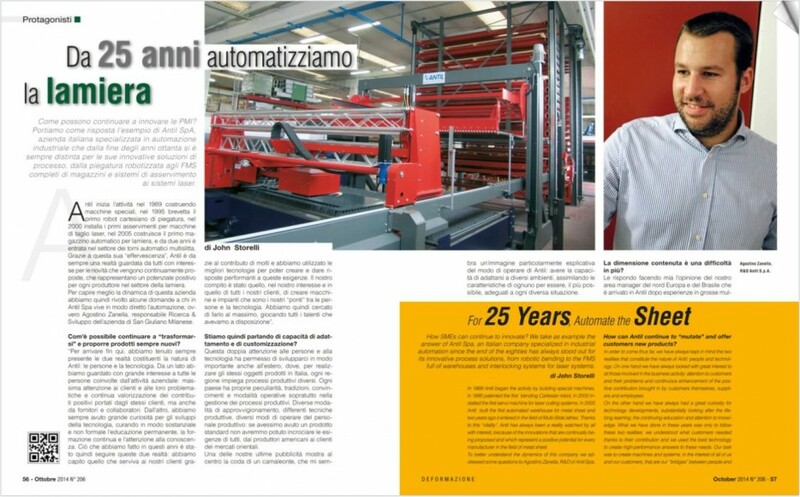 Agostino Zanella, R&D Manager of Antil S.p.A., tries to answer this question observing Antil way of working, always innovative and “vital”, 25 years after its foundation. This entry was posted in News and tagged Automation, Bending Robot, Innovation, Laser, Loading-Unloading, Robot, Sheet Metal. Bookmark the permalink.